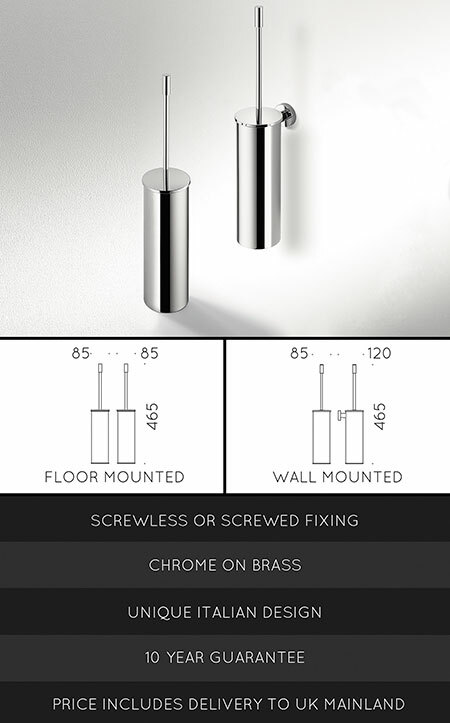 A stylish chrome toilet brush and holder set available as a floor mounted set or contemporary wall hung. These toilet brushes are chromed plated onto superior brass, which is very corrosion resistant and is supplied with a 10 year anti-corrosion guaranteed. Wall mounted brush sets can be screw fixed or permanently self adhesive fixed which saves difficult drilling and destruction of expensive tiles. * Chrome on superior brass.